Looking for an architect to build your dream building is certainly an important thing. Not just looking for a professional or famous, but you should also consider the needs, because the architect would have a sense of distinctiveness, uniqueness of the model building, the peculiarities which will only have in his work and is not owned by another architect. But there are ways of designing a building that you must know before you build the building. So that at least you have an idea of ​​how the stages of an architect or a way that you believe in planning design a building until the image is ready to be used also later how the development process. Here we review briefly the stages through which a consultant architects. You as a consumer would have to deliver what you need in advance, personal data convey the data land or buildings to be constructed in a clear, list and details of the space you want, plan or plan of building space or ground floor plan and want to be like what the building constructed, including what facilities are needed in the building. Furthermore, no less important is how much the availability of funds, the concept of building to be built, and you also have to explain clearly the designation of the building. You can also indicate other buildings or drawings of existing buildings in internet for example, if the models or building type is exactly what you want to have. Because it would be more helpful to know up again the architect as to what your dreams are as consumers. And of course the architect would be easier doing his job. Second ways on how to design a building, you have to make a deal work with the architect in advance of course. Also of course there must be agreement between you and the architect, until eventually there is no aggrieved party in the future, because there had been an understanding, and a clear bond contract. Do not forget to make a commitment to work as outlined in the contract in black and white with your choice architect. What are the contents of a employment contract? The contract will contain payment related agreements, and of course detailed list of images that the duty of the architect. Do not forget also to read your rights that must be met by the architect. Make sure you have read the contract in detail, thorough and of course to finish. When there is less you understand, do not hesitate to ask. 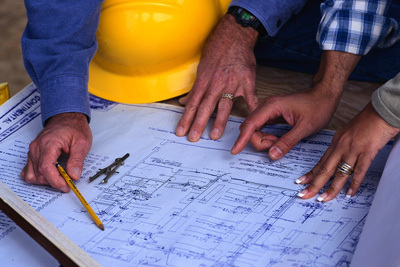 Before designing buildings, architects would need to conduct site surveys where the building will be erected. It would be useful to give a description to the design later. And do not worry if it takes a long time because the survey did not survey enough only once. And it was also intended that the building design is really ripe. And the latter certainly is making the design of the building and when you still have to be with the architect to oversee the extent to which the design of your building, but you still have to give your full trust in the architect. Finally, the answer on how to design a building can you find easily.